The latest and the fastest Windows has arrived in a stylish Windows 10. Engineers and engineering students are likely to benefit a lot from using Windows 10 laptops as most of the programs and software they use are compatible with Windows OS only. Laptop requirements for engineering is different and advanced, compared to normal and casual use. Even business students can get away with a decent-spec(ed) computer. 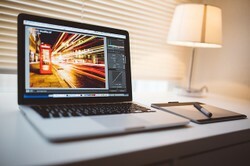 However, engineering is an in-depth field and students require higher screen resolution, more RAM, powerful graphics in their laptop—on top of being portable and lightweight. The laptop requirements for engineering is extensive, but not that complicated. An engineering major is not expected to buy a supercomputer worth $3,000. Even a mobile workstation for engineering students is pointless because a student will not do the kinds of work an advanced workstation does. A Windows 10 laptop that costs less than $1000 will do a perfect job. That said, there are, however, realistic requirements one must set before buying an engineering laptop. Most people don't realize that it is not necessary to get 12GB or 16GB RAM for the laptop to be fast. A computer with 8GB has been found to be most efficient (both in terms of power and upfront buying cost) when coupled with the right kind of complementing hardware. A discrete graphics card with a powerful RAM is necessary for doing extensive graphics work for an engineer or users like architects. When an 8GB RAM is combined with a 2GB of DDR5 dedicated graphics card, the laptop turns into a powerhouse. The larger the screen, the heavier the laptop gets. "I didn't bring my laptop today, it's too heavy" is the most popular dialogue students say and hear. My personal preference is below 14-inch or 15.6-inch max. A 17.3-inch display size is not required. If one must, the focus should be towards screen resolution. Windows 10 is a beautiful operating system with all kinds of bells and whistles. A native resolution of 1920 x 1080 is a bare minimum these days. 4th Generation i5 (or i7, if within budget) is CPU minimum. Hard disk is purely of personal preference, but my personal preference is a dedicated 256GB SSD drive and a hybrid technology drive of over 500GB. If a mechanical hard disk is not available, one can save a lot of money by buying an external hard drive instead. 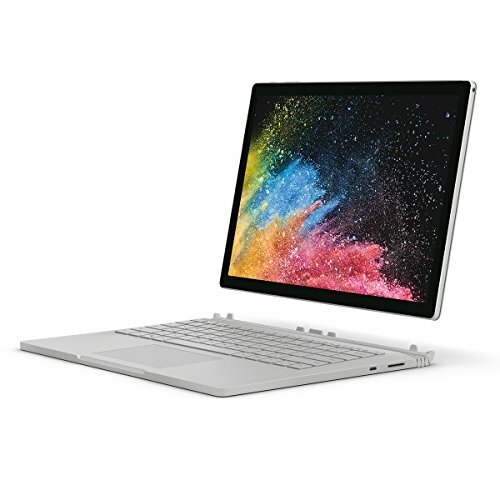 I am really satisfied with what the new Microsoft Surface Book has to offer. 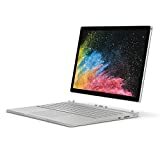 Primarily targeted as a Macbook Pro alternative, this seems to be a perfect Windows 10 portable PC for users who love the architecture of Macbook. The laptop weighs just 3 lbs with a keyboard included, making it one of the most lightweight laptops for gaming and engineering needs. Storage size can be manually chosen, starting from 128GB all the way to 1024GB. The 6th Generation Intel i5/i7 processor helps in minimizing the power, due to the which the laptop has been rated for 12 hours of non-stop playback. As for engineering applications, the laptop also features an NVIDIA GeForce graphics chip. This helps in software programs like AutoCAD, Revit, ANSYS and SolidWorks. The model with a dedicated GPU starts at $1,899 which might seem too expensive. However, it's too early to tell since it was introduced just days ago—who knows it might be worth it!